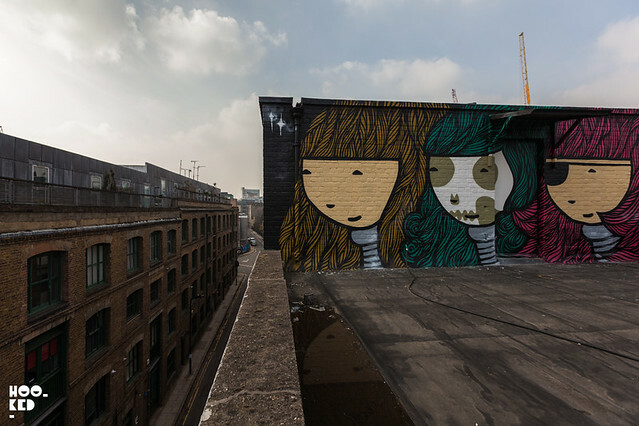 Sheffield based street artist Kid Acne (Previously on Hookedblog) was down in London last week on a flying visit to the city. While he was in town Kid Acne managed to fit a wall in on this visit hooking up with Jealous Gallery in East London to take part in their ongoing #jealousrooftopmuralproject. The Jealous gallery have been inviting artists on a regular basis onto the roof of the Jealous building to paint a mural. 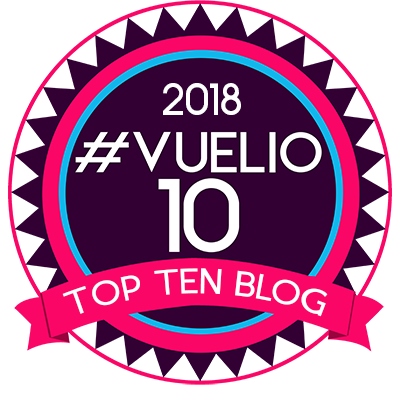 As well as giving established artists the chance to continue their practice, Jealous Gallery have also been inviting younger artists giving them the oppertunity to gain recognition and experiment with this rooftop canvas. 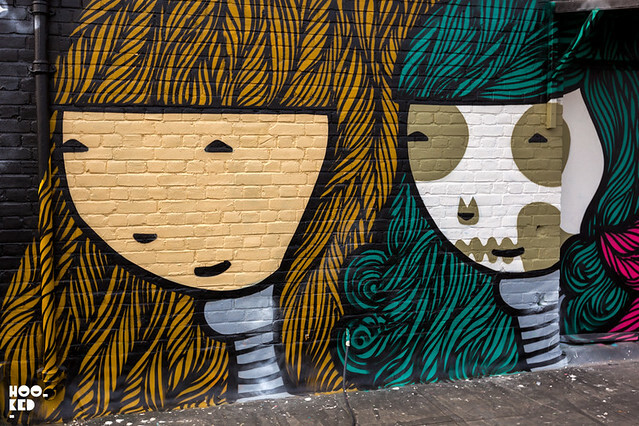 We were lucky enough to to be granted access to the gallery's roof to capture some images to share with you our readers here of the latest mural featuring the artwork of Kid Acne. And before you ask the Jealous gallery roof is currently not open to the public, but if you ask them nicely you might be lucky! 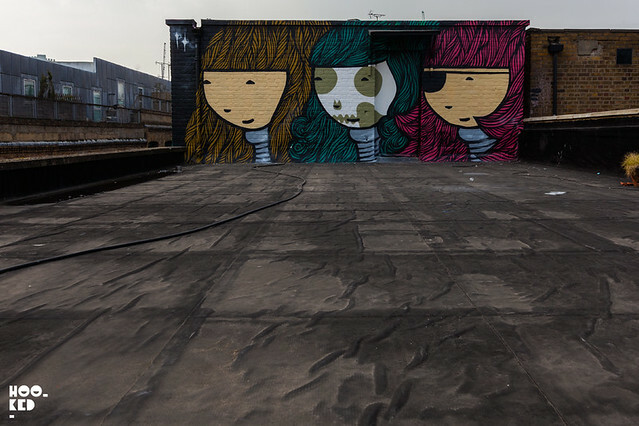 The latest mural from Kid Acne titled 'Triple Goddess' features his iconic stabby women warrior characters that regularly feature in Kid Acne's illustration and street works. On this occasion we see three of them, the Triple Goddesses high above the city on lookout following their recent Australian adventure, keeping a watchful eye on the changing Shoreditch skyline.